After a wait that seemed unending, a proper trailer for Captain America: Civil War has finally been released. And the finale to the Captain America trilogy looks to double down on the formula used for Captain America: The Winter Soldier – serious storytelling with explosions to punctuate the plot. “Civil War” was a major comic book event for Marvel. In the comics, a disaster brought about by superheroes prompts the government to step in, requiring oversight of superheroes and their activities. The law was either register with the government or face jail time. 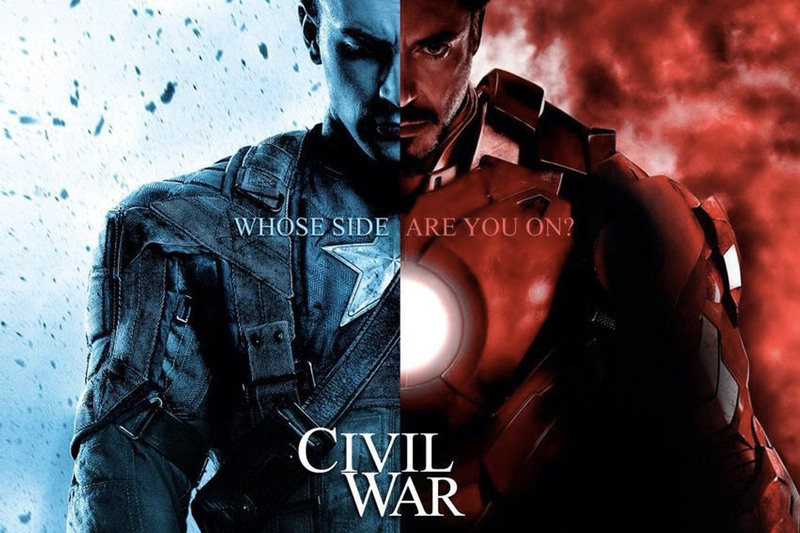 This brought about an ideological divide between two of the world’s biggest heroes: Captain America and Iron Man. The trailer for Captain America: Civil War sets up that same exact situation, only in this case Cap’s old friend Bucky Barnes (aka The Winter Soldier) seems to be framed for the precipitating event. And when the government steps in to register heroes, everyone has to choose a side. One the plus side, Captain America: Civil War looks to mine that same gold that was found in Captain America: The Winter Soldier, crafting a political thriller infused with superpowered action sequences. The stakes feel very real, and unlike many superhero films, the real gravitas comes from the relationships being tested by these larger forces. Also, we get a few glimpses of Black Panther, played by Chadwick Boseman, and he looks amazing. Unfortunately, in a world that is now receiving new superhero flicks every couple of months, this type of trailer doesn’t pack the punch that most do. Yes, the film is packed with superheroes (I’ve spotted at least Captain America, Iron Man, War Machine, Winter Soldier, Hawkeye, Falcon, Scarlet Witch, and Black Panther), and that fight sequence at the end is an artful masterpiece both in cinematography and storytelling, but we don’t get the massive explosions and tongue-in-cheek humor we’ve come to expect. So, will the subtext be enough to carry this film? This movie will be a pivotal moment in the course of the MCU, and I fully expect the nuance to elevate this film above general superhero film fodder. Marvel’s Captain America: Civil War finds Steve Rogers leading the newly formed team of Avengers in their continued efforts to safeguard humanity. But after another incident involving the Avengers results in collateral damage, political pressure mounts to install a system of accountability, headed by a governing body to oversee and direct the team. The new status quo fractures the Avengers, resulting in two camps—one led by Steve Rogers and his desire for the Avengers to remain free to defend humanity without government interference, and the other following Tony Stark’s surprising decision to support government oversight and accountability. Get ready to pick a side and join the nonstop action playing out on two fronts when Marvel’s Captain America: Civil War opens in U.S. theaters in May. Previous story “Barbershop: The Next Cut” Official Trailer – Why Is This Happening?